28ct. 'Twilight' cashel linen (stitched 2 over 2) from Picture This Plus. Stitched with ThreadworX hand overdyed threads #10302 'Reflections'. 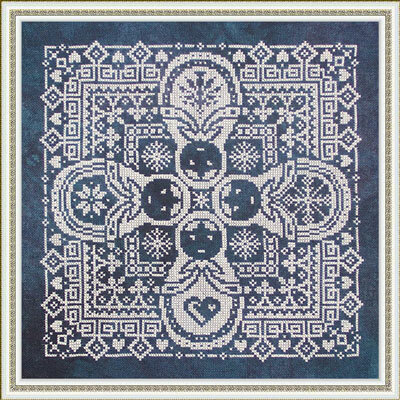 This design contain all whole stitches and is easily converted to needlepoint.